Economic growth in Laos is propelling the country towards achieving middle income status by 2020, yet chronic malnutrition among children under five years old remains a pervasive challenge, experts say. “High rates of malnutrition, particularly in rural areas, continue to affect children’s health and capacity to learn later on in life,” said Uma Palappian, a nutrition specialist with UNICEF Laos, based in Vientiane. “It also hampers adult productivity and contributes to a loss of annual GDP,” she added. Steady economic growth over the past decade - 8 percent in 2012 - has contributed to a drop in poverty levels. Forty-six percent of the population lived on less than US$1.25 per day in 1992; this year, that number was 27.6 percent, according to the UN Development Programme (UNDP). Yet Laos struggles with the second-highest rate of malnutrition in East Asia and the Pacific, after Timor-Leste, a country that has experienced civil war and unrest over the past two decades. Laos’s nationwide stunting average is 44 percent among under-fives, and stunting rates are as high as 58 percent in the northern highland provinces, according to the World Food Programme (WFP). 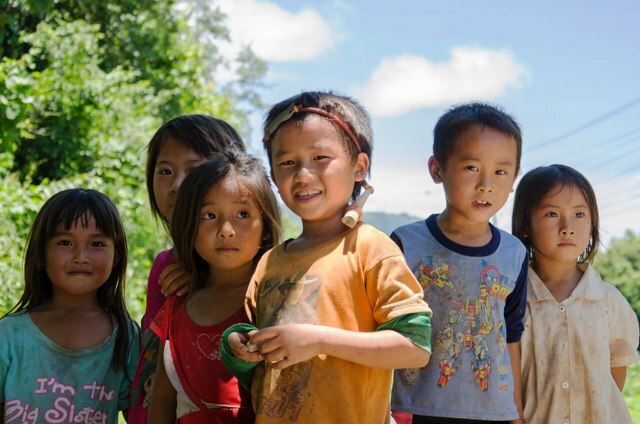 “Laos is a challenging context to address hunger,” said Aachal Chand, WFP Laos’s head of nutrition, who says key obstacles include geographic isolation, the need for greater dietary diversity and poor awareness about nutritional health. Other experts additionally point to heavy reliance on subsistence farming in rural areas, as well as seasonal and weather-induced food insecurity. Laos graduated to lower middle income status in 2011, and it joined the World Trade Organization as a full member only six months ago, in February. But 80 percent of the population lives in rural areas, where communities are dependent on agricultural and natural resources, leaving them vulnerable to food insecurity and undernutrition. This is particularly true in the lean season, which lasts from June to October, when heavy rains can ruin food storage facilities, according to CARE Laos, which has been working in the country on food security and agricultural issues for more than two decades. Children look to the camera in Kuang Si, Luang Prabang Province. An average of 44 percent of children under five suffer from malnutrition, putting them at risk of immune deficiencies later on in life. “A combination of natural hazards and pests affect crops and pose risks to food security, especially in remote villages without easy access to alternative food sources,” explained Baas Brimer, WFP Laos’s head of vulnerability analysis and mapping. In 2012, up to 32 percent of households reported suffering from food insecurity as a result of crop pests, while 20 percent were affected by rain-induced landslides and storms that obstructed roads, reported the Food and Agriculture Organization (FAO)-supported National Food and Vulnerability Survey (FVS). One village in the central and mountainous Khammouane Province was cut off for 19 days during the rainy season in 2011, according to the FVS. Cultural isolation can also prove problematic. “The non-Lao speaking ethnic groups tend to live in the more remote areas, making them disproportionately affected by food insecurity,” said Glenn Bond, the director of CARE Laos. Nutritional knowledge is also in short supply, especially in isolated highland villages, and “particularly for pregnant mothers and children under the age of five, who are most at risk of immune deficiencies and hindered learning abilities resulting from inadequate food intake,” said UNICEF's Palappian. Nutrition experts say heavy reliance on rice as a staple food and the limited availability of animal protein are to blame for much of the undernutrition problem. 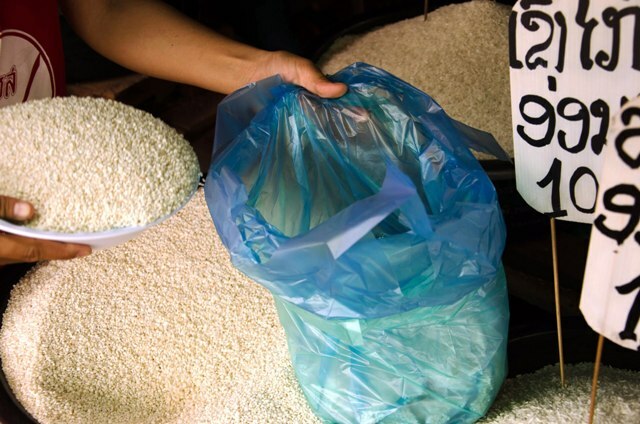 "Glutinous (sticky) rice provides energy but it is not enough. A healthy diet needs to be varied and include meats, fruits and vegetable in addition to staple foods," said WFP's Chand. "Even small changes in food preparation, such as adding salt at the end of the cooking process to increase iodine intake, can help," she added. While the majority of rural households have at least a pig or a flock of chickens, animals are typically kept to sell during emergencies or in case guests visit the community, according to Vong. The hilly environment also makes raising large animals difficult, according to Brimer. Meat is consumed in some areas as little as three times per month, according to the FVS, contributing to rates of anaemia that reached 36.2 percent in 2012. Anaemia poses particular risks to infants and pregnant and breastfeeding women. “The 1,000 days from pregnancy to infancy are crucial for a baby's cognitive and motor development, as well for the baby's immune system, which affects their ability to absorb nutrients,” said Palappian. More than 5,000 babies in Laos die each year from preventable, nutrition-related health problems, according to UNICEF. Post-partum practices, such as the restricted rice- and salt-based diet many women receive for up to three months after birth, can greatly affect the nutritional status of both mother and baby. Such practices result in insufficient intake of fats, proteins and micronutrients, according to the Micronutrient Initiative (MI), an Ottawa-based non-profit that works with governments to develop micronutrient supplementation programmes. “Anemia and deficiencies in micronutrients such as iron, vitamin A and iodine can affect cognitive development and compromise the immune system,” said Kimberly Harding, program officer and micronutrient expert at MI. Newborns are often fed sticky rice immediately after birth, meaning they miss out on the benefits of exclusive breastfeeding and colostrum, the nutrient-rich milk produced just after birth. “Early-instance breastfeeding is fundamental to prevent malnutrition,” said Palappian. But exclusive breastfeeding is hard for new mothers, who often must return to work in the rice paddies as early as two or three days after giving birth. Less than half of all babies under six months are exclusively breastfed, and only five percent have adequate nutrient intake, according to UNICEF. Childhood-malnutrition-related productivity losses in the adult population account for an estimated 3 percent loss in Lao's GDP, or $197 million annually, says UNICEF. But since 2010, the government has participated in the Scaling Up Nutrition (SUN) programme, which aims to addresses hunger and food insecurity through a multi-sectoral approach addressing health, sanitation, development and women's education. That year, the country adopted a five-year National Nutrition Strategy and Plan of Action. “Addressing malnutrition is a long term process, but there is good momentum in the country to prioritize and scale-up nutrition interventions," said Chand. Progress requires both development and behavioural change, according to UNICEF. “Behaviour takes a long time to change, and is not as measurable,” said Palappian. “Interventions that promote early-instance breastfeeding and dietary diversity for mothers and children will take time to be reflected in statistics,” she explained.